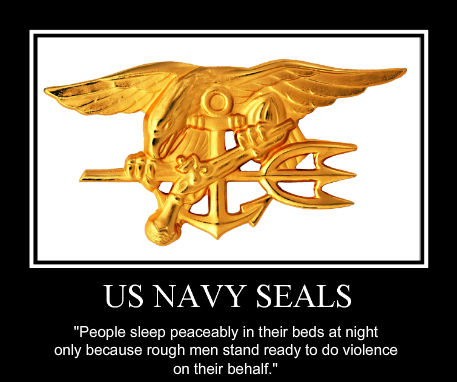 We, the editors and staff of HUMAN EVENTS, and the many Americans who have attached their signatures to this petition, hereby request your personal intervention to dismiss the charges against Navy SEAL operators SO2 Jonathan Keefe, SO1 Julio Huertas and SO2 Matthew McCabe. These three men are charged with abusing a terrorist they captured in a daring nighttime raid on or about 1 September 2009. On that night, they — as part of a platoon from SEAL Team 10 — captured and detained Ahmed Hashim Abed, one of the most barbaric and dangerous terrorists in Iraq. The terrorist — in a move that is literally right out of the al-Queda training manual — complained of abuse, apparently alleging he was struck in the stomach. The three now face special courts-martial next month. We believe their commanders — including General Petraeus — have failed you, the SEALs and the American people by not preventing the matter from going this far. You are the person next in line above General Petraeus in the chain of command. You can, legally under the Uniform Code of Military Justice, intervene to dismiss the charges against the three SEALs and direct that they be restored to duty. We respectfully request that you do so forthwith. For this matter to continue — and to place the honor and fighting future of these three men at stake — is manifestly a gross injustice. Lilith Wept on HEY, CAIR: Liar, Liar, pants on fire…..AGAIN!